Furnished holiday lets face more complicated tax rules than any other property investment to stop second home owners benefitting from capital gains advantages. Location – this is the easiest test. If the property is in the UK or European Economic Area (EEA), then go to the next step – if not, a furnished holiday let anywhere else in the world is treated as part of an overseas property business. If you have holiday lets in the UK and the EEA, they are separate property businesses. Keep separate records for UK and EEA holiday properties – the figures go in to separate boxes on your tax return. Furnished – A furnished holiday let is a home where a holidaymaker can arrive with just their personal belongings, like clothing and toiletries, to find everything else provided, like a hotel room. Availability – This covers a tax year, which runs from April 6 one year to April 5 the following year. A commercial let is a let at full market value, not letting friends and relatives using the home at a free or discounted rate. 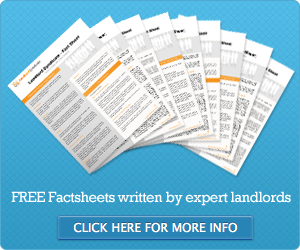 Letting – The time a property must be occupied during the tax year. Watch out for the long term letting trap – a long term letting last for more than 31 days in one letting, but the days do not count towards the letting test, and if the long term lettings add up to more than 155 days, the property cannot qualify as a furnished holiday let. Two exceptions apply – the property can be let to one person for more than one long term rental and special circumstances that mean a holidaymaker has to stay on for a long term let are allowed, like illness or delayed flights. Averaging – If a property owner has more than one furnished holiday let, each must separately pass the availability and letting tests, but if some fail the test, the test can be averaged. Remember, average UK holiday lets with each other and EEA holiday lets with each other – do not mix the two. The averaging calculation is the same for both businesses. Divide 421 days by 4 gives an average of 105 days letting for each. Electing to average letting means all four cottages pass the qualifying tests. Period of grace – The period of grace election takes account of the extended availability and letting periods for the 2012-13 tax year and beyond. In effect, if you have a holiday let that fails to pass the test, the period of grace gives two years to catch up. You would have to show a genuine intention to let in the grace period, but good reasons for failing to pass the test would be extreme weather or an outbreak of foot-and-mouth disease, for instance. The first year for a period of grace election is 2011–12. You must have passed the 70 day occupancy test in 2010–11 and have failed to meet that threshold in 2011–12 to qualify. Property owners can combine averaging and the period of grace in a mix-and-match to make sure a property continues to qualify as a furnished holiday let. Jas has three properties which he lets as furnished holiday lets. In some years property B doesn’t meet the occupancy threshold. If Jas made the averaging and period of grace elections, property B qualifies throughout the whole period.